Although the summer isn’t officially over for about three weeks, I return to work as a teacher tomorrow. What does that mean? That means summer hiking is pretty much done. I am hoping that I will be able to get out when I can, but the wonderful morning hikes that I have enjoyed the last couple of months will fade as quickly as the summer has. Without a doubt, this summer has really been a good one for hiking. Although it has been filled with many rainy days, that was far outweighed by the beautiful mornings filled with blue skies and nice cool temperatures. This post is going to quickly cover my three favorite hikes of the summer. If you have been following my posts this summer, this list shouldn’t really surprise anyone! This should not come as a surprise to anyone. Going to the Nose has been a source of refuge, peace and tranquility for many, many years. When I have good days, bad days and really bad days, the Nose has always been there. That’s all I have to say about that…. This is a newcomer to my favorite list. In the past couple of weeks I have really come to love hiking here. Well maintained and blazed trails make hiking a really nice experience. With the marked trails as well as the connector trails, you can shorten or lengthen a planned hike any number of ways. And if you don’t eat during your hike you can take advantage of the numerous picnic tables that are situated throughout the reservation. I am really excited about getting out there in the fall when the leaves change colors. 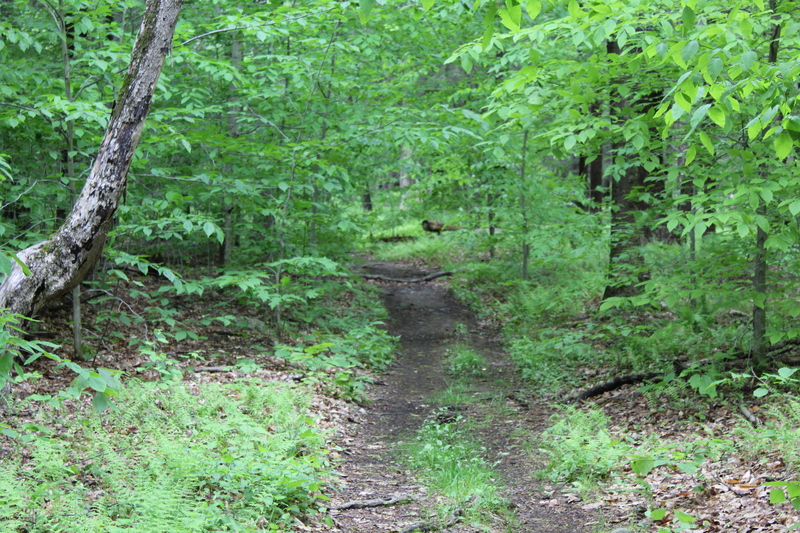 The gateway to my favorite hikes in Ward Pound Ridge Reservation. The gateway to peace and tranquility! Located directly across the Hudson River from Anthony’s Nose, this hike has it all. Thigh numbing climbs, views up the Hudson, down the Hudson and all the way to NYC (if the weather permits). With the incredible amount of hikes in this area as well as thinking about the ones that I did this summer, it was difficult to pick my favorite ones. The ones that made my top three list were the ones that I have developed an affection for. Ones where I know I can go to recharge the batteries or just find some peace. They vary in length, but that isn’t the most important thing-keeping my peace of mind is. This entry was posted in Uncategorized and tagged Anthony's Nose, Appalachian Trail, Bear Mountain, Bear mt bridge, brown trail, Camp Smith Trail, frank lloyd wright, green trail, hiking quotes, Hudson River, Hudson Valley Hikes, Inner Peace, Music, peace, red trail, technology, tranquility, Walking, walking as meditation, walt whitman, ward pound ridge reservation on August 29, 2017 by The Zen Hiker.